Jerry Hogge, senior vice president of Leidos’ health business, has said the Leidos-led team is on schedule to implement the optimization process for the Defense Department’s commercial electronic health records system over a two-month period, Nextgov reported Wednesday. The report said DoD and the industry team will address the remaining “trouble tickets” received from four test sites that piloted the MHS Genesis system as well as implement best practices and new changes to the EHR platform in two months. “This is not a pause or a surprise, it’s a planned element of the program,” Hogge told Nextgov. “We’re going to get it done in eight weeks time,” he added. Hogge also noted about the challenge associated with the EHR implementation. “There is a learning curve, a temporary loss of efficiency and comfort that, over time, is more than offset by the benefits of the new system,” he added. 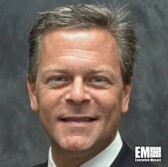 Leidos works with Cerner and Accenture to build a commercial EHR system for DoD under a potential 10-year, $4.3 billion contract the industry team won in 2015.